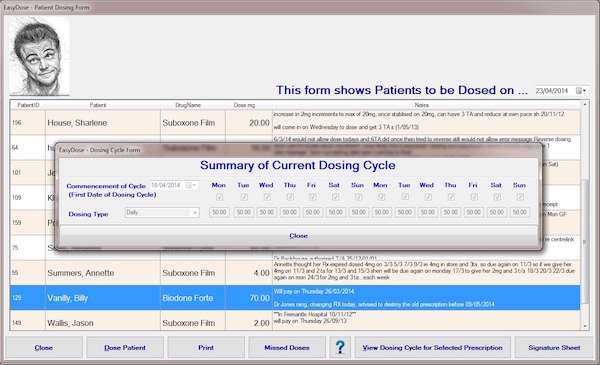 Daily Dosing is an automatic prompting feature of EasyDose. 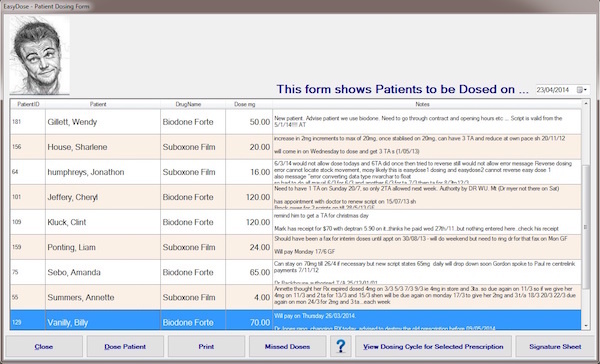 Immediately after log on, the Daily Dosing screen is presented showing patients who are due to dose today but have not yet dosed. It can also be opened from the quick access menu. Missed Doses: A list of patients who missed their dose on the specific day can be printed in report form. This is done at the close of the day’s business.